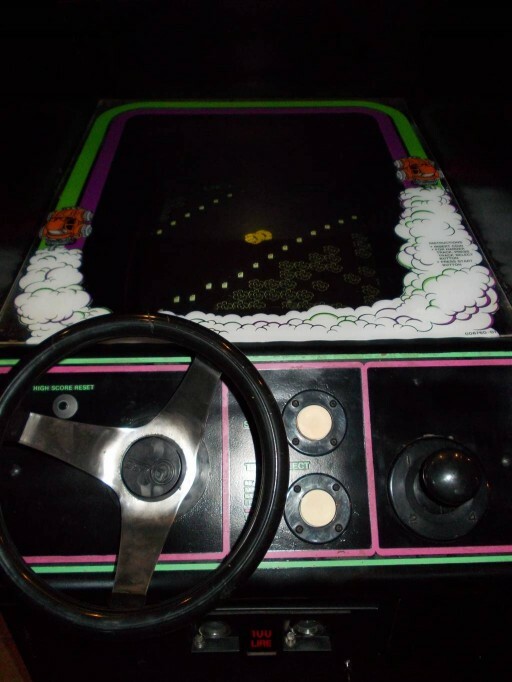 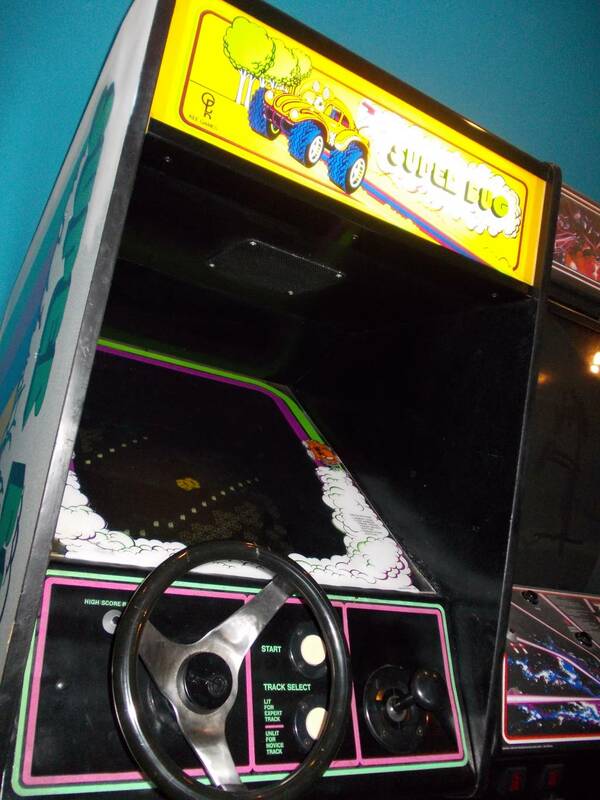 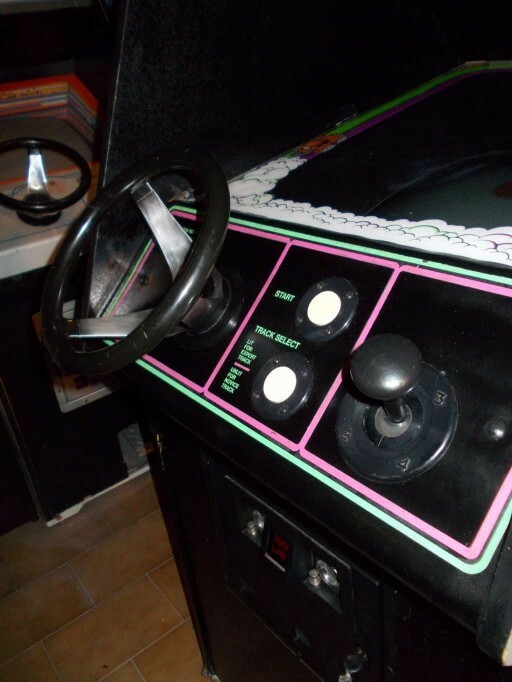 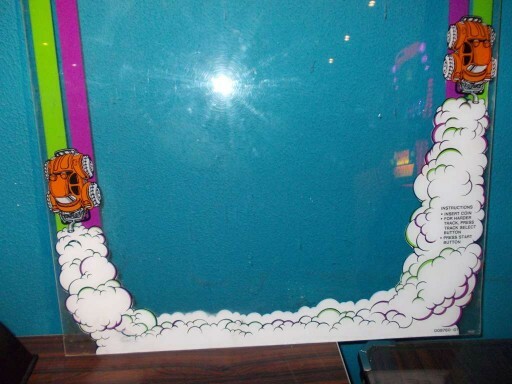 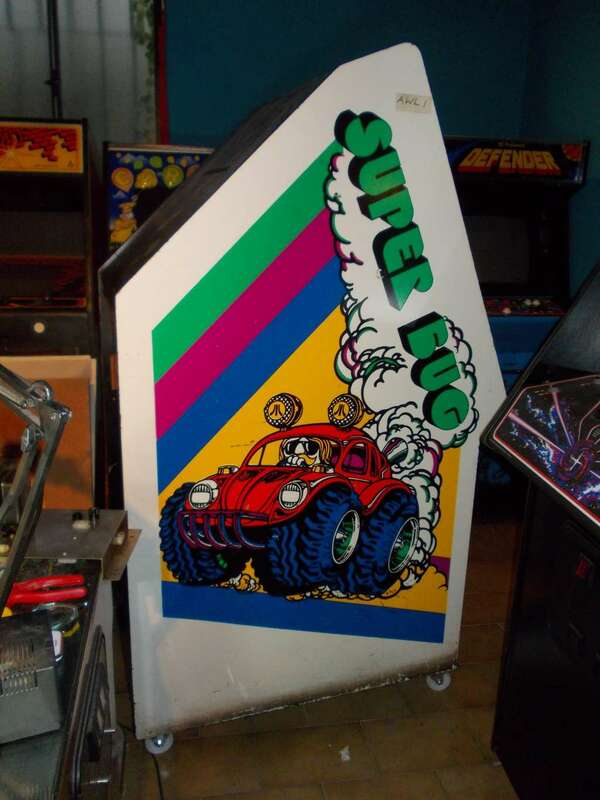 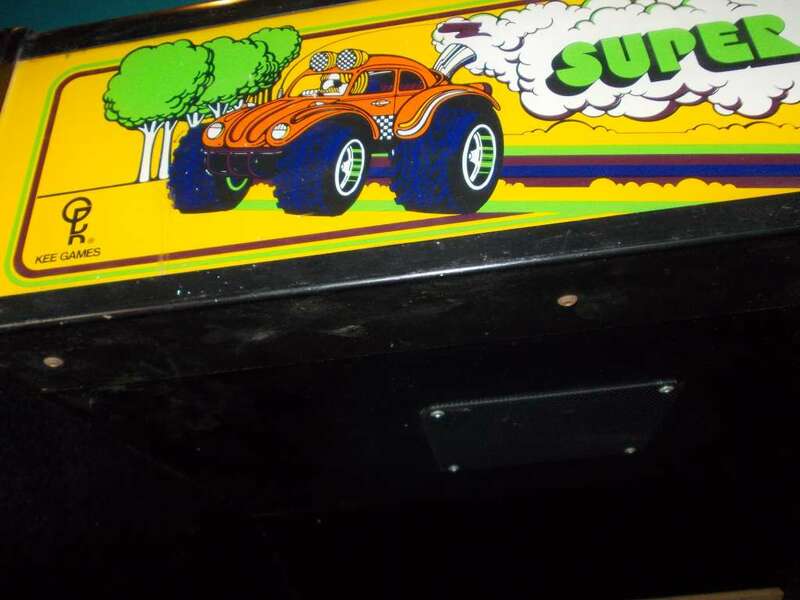 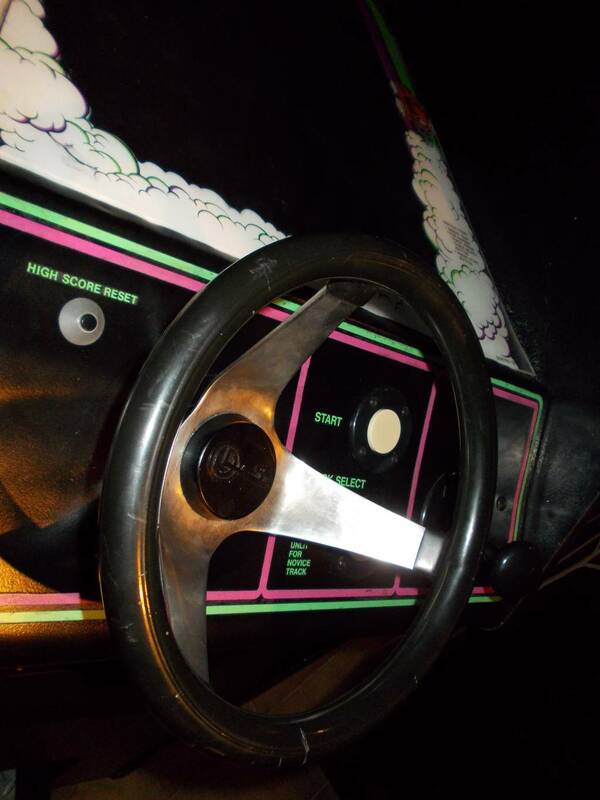 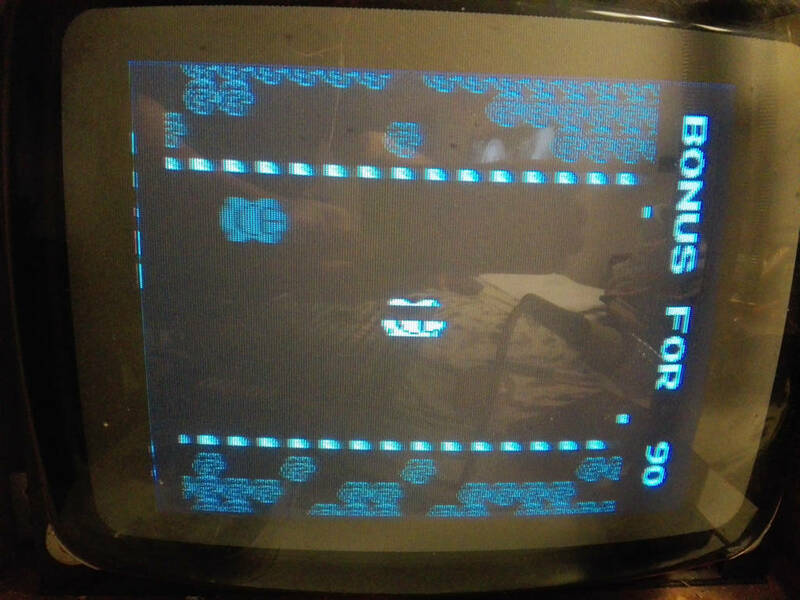 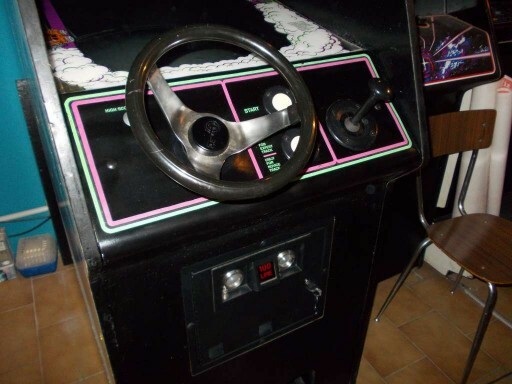 This game is one of the first race game where the car remains in the center of the screen turning on itself during the curves while the path is moving all around. 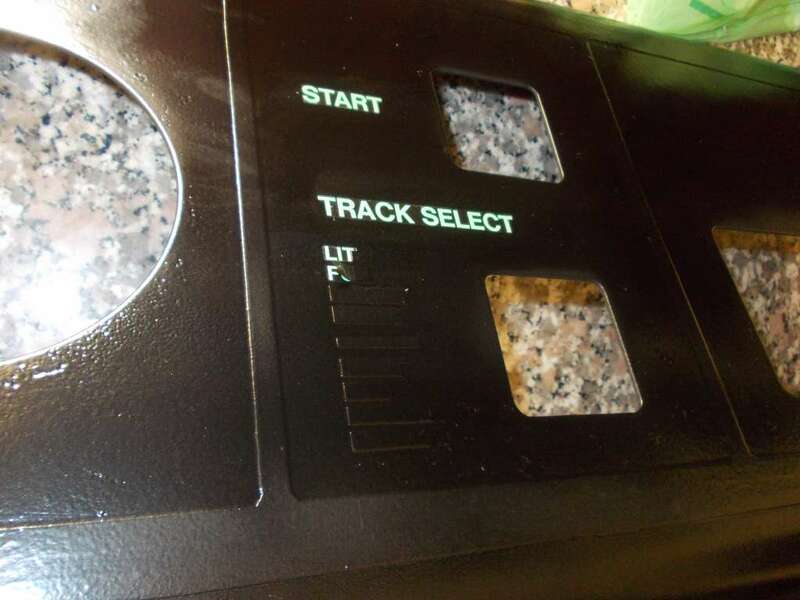 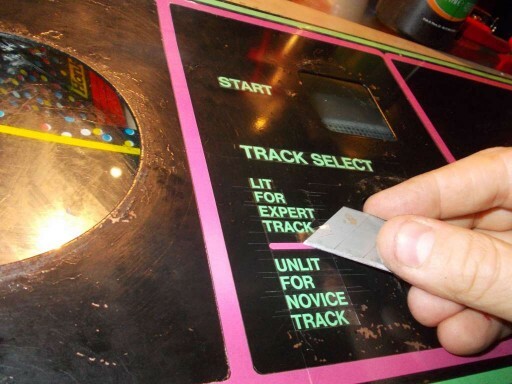 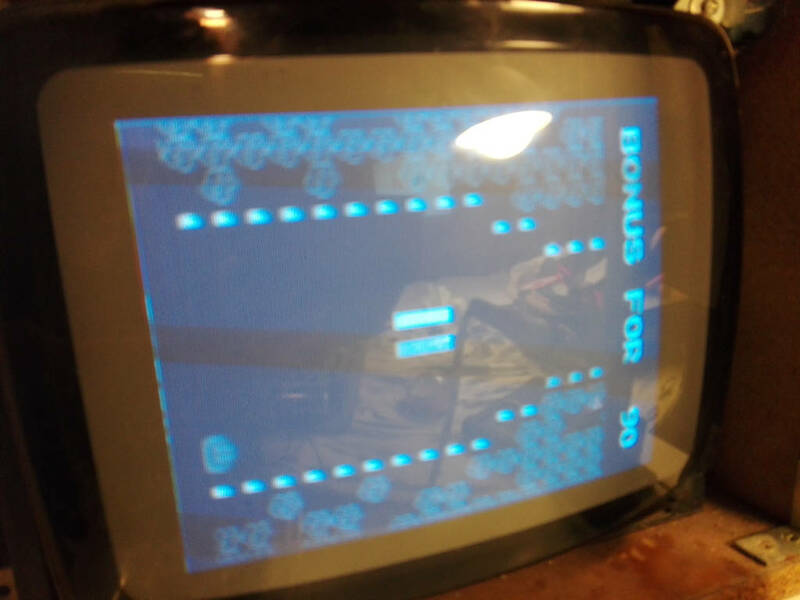 At the beginning of the game the player can select two difficulty levels: novice or expert; the route is a city, indeed woodland and it is littered with oil stains, bends and other machines. 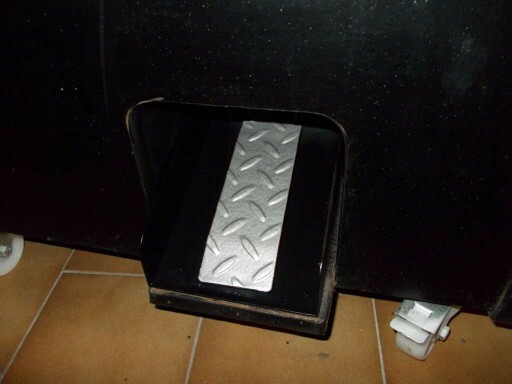 The car is equipped with an acceleration pedal and a 4-speed gear. 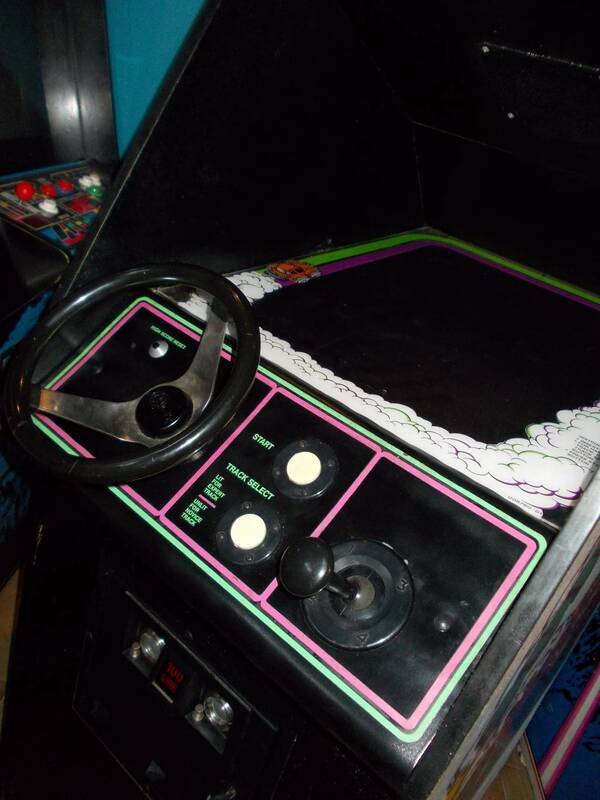 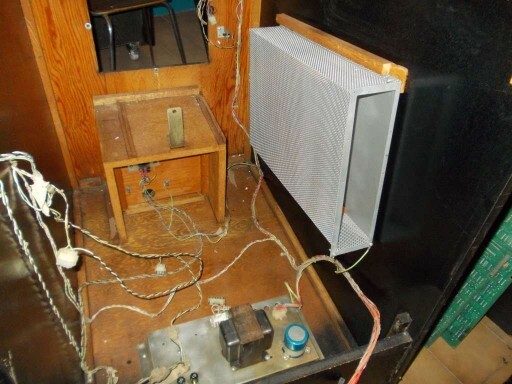 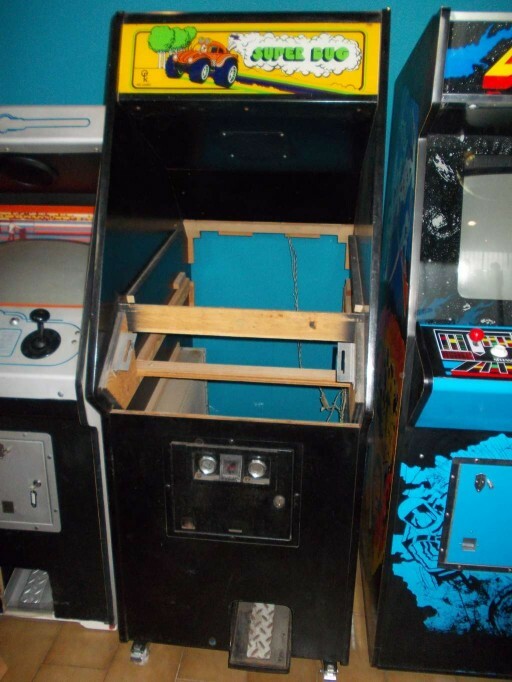 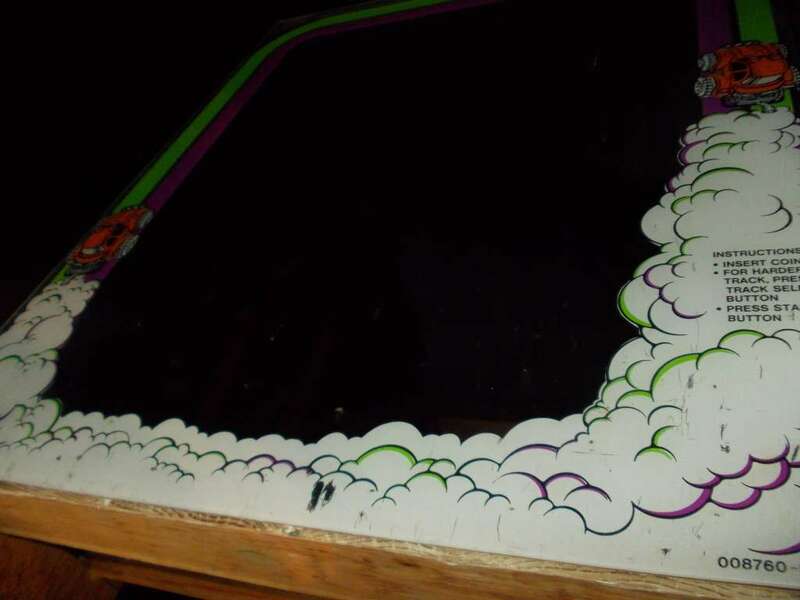 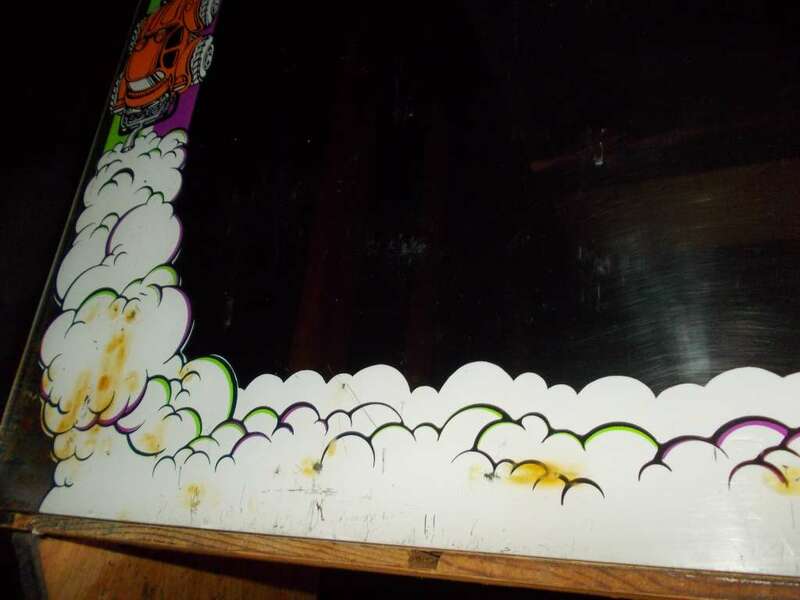 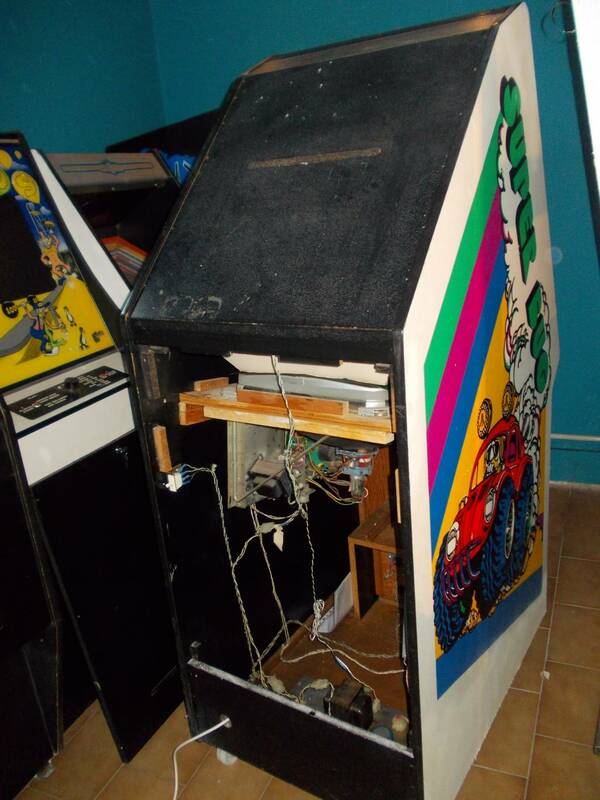 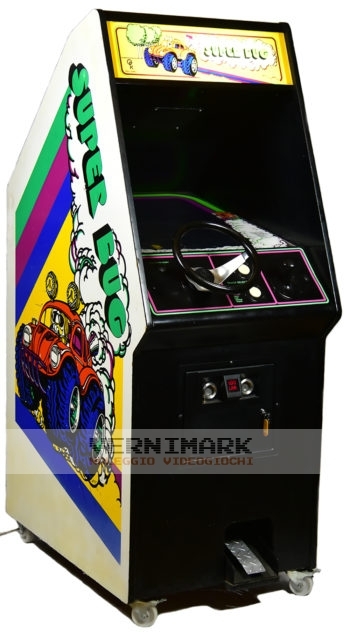 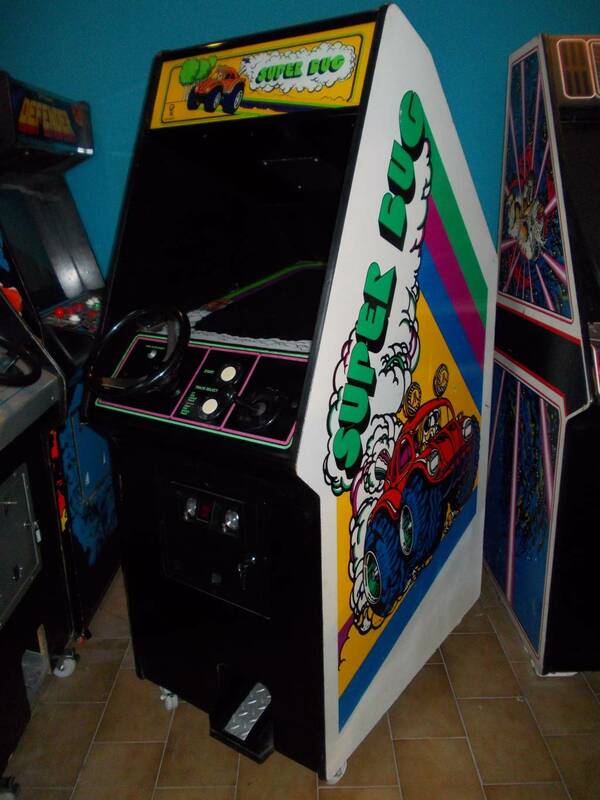 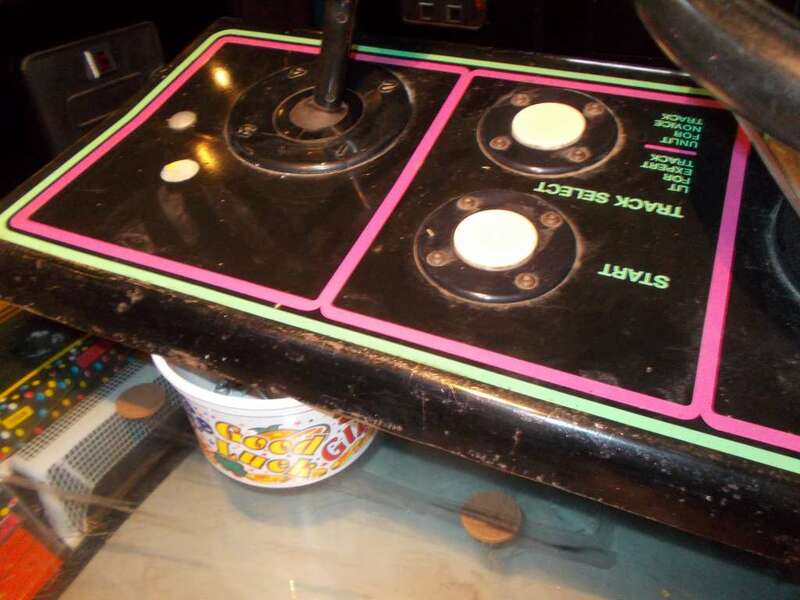 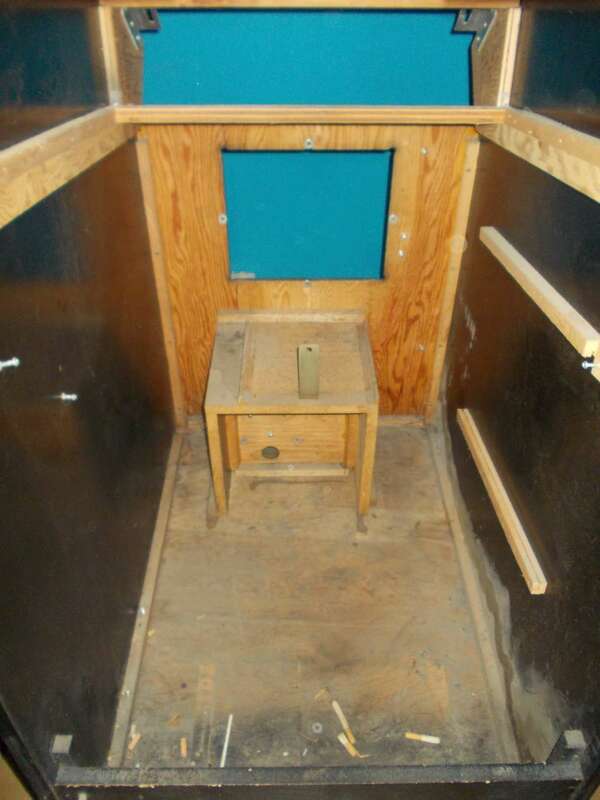 The cabinet in the collection is completely original by Kee Games and completely restored. 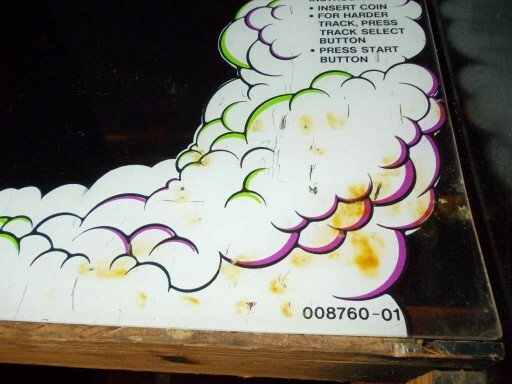 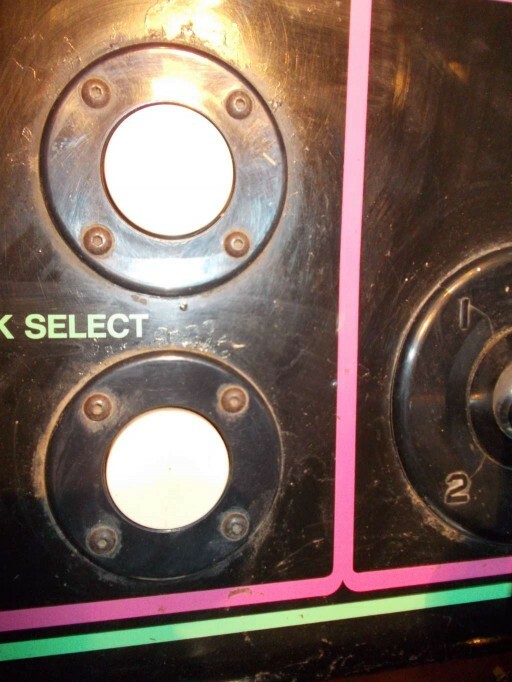 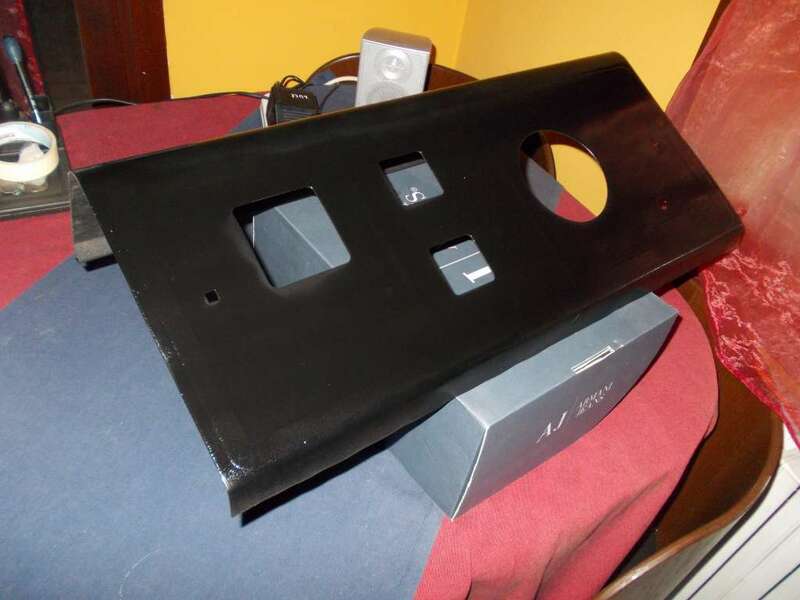 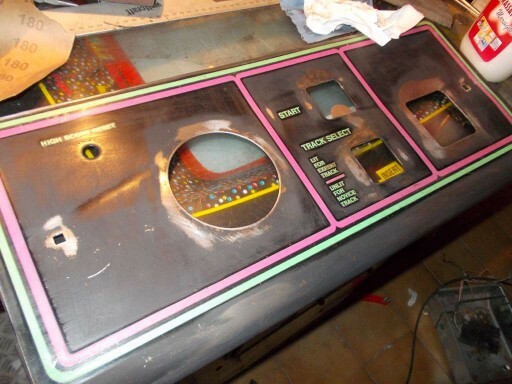 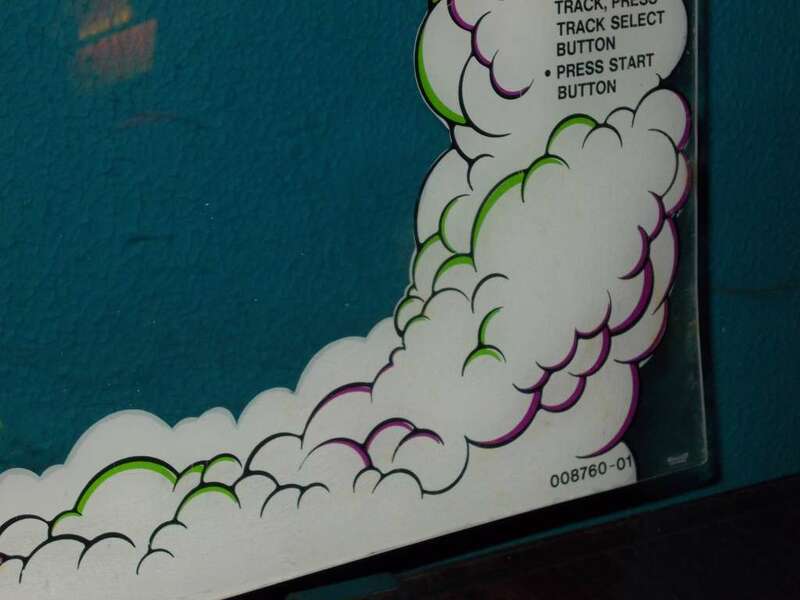 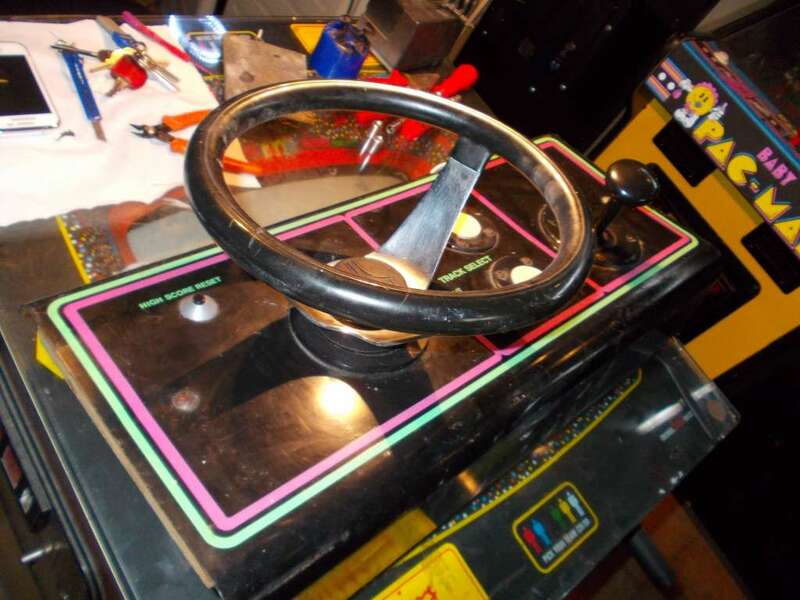 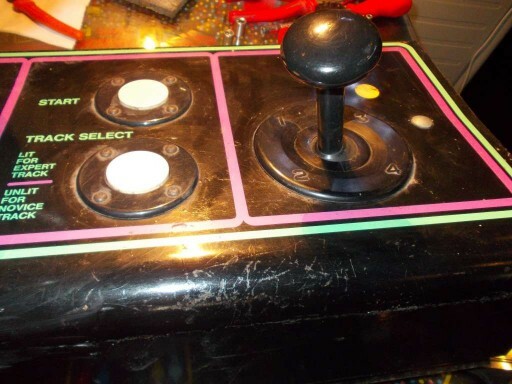 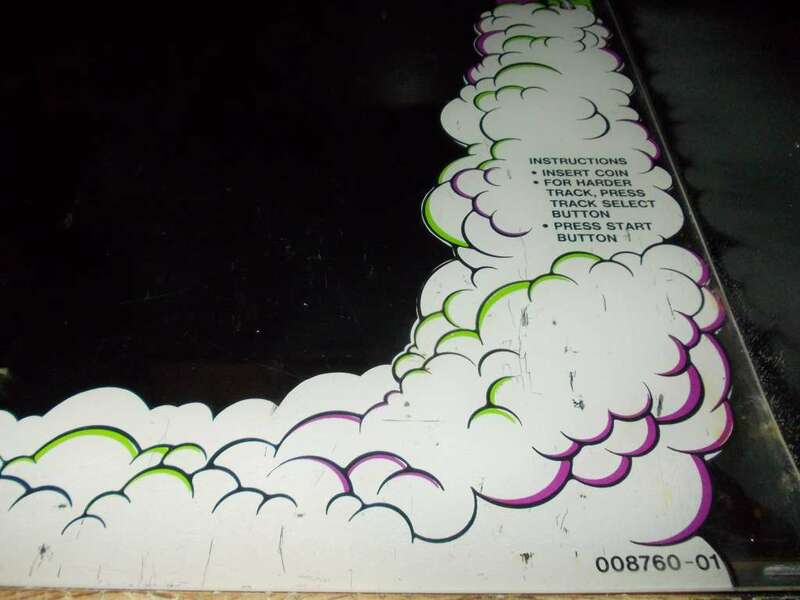 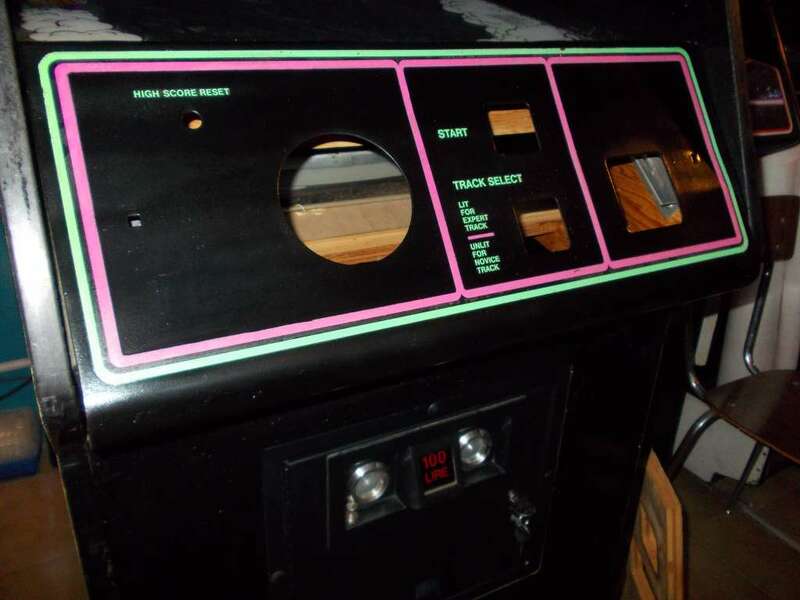 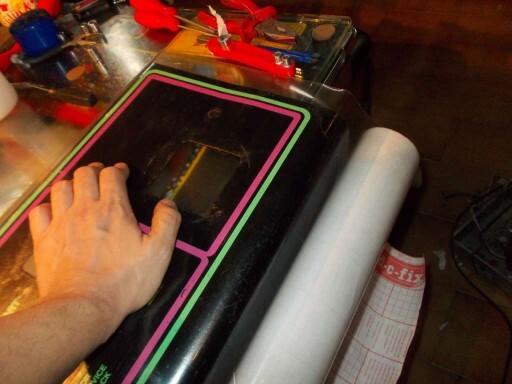 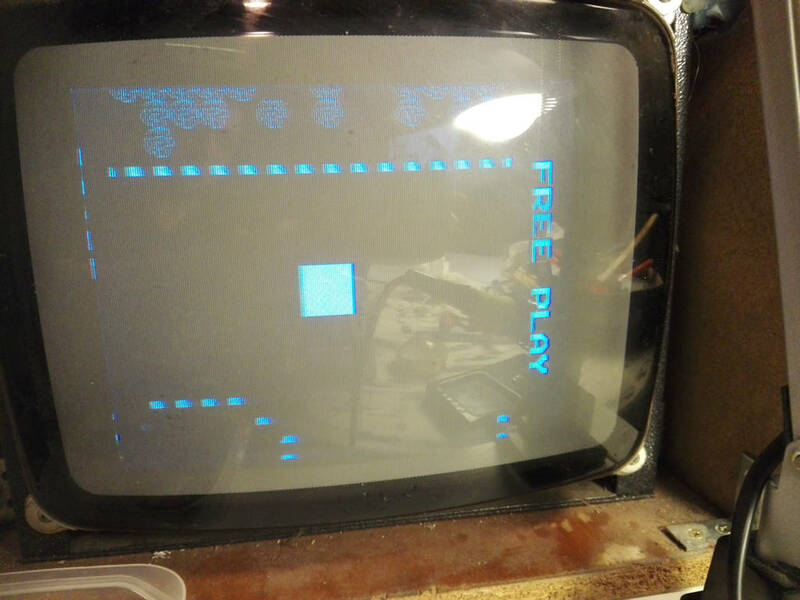 Both the control panel and the side art have been regenerated and are in excellent condition. 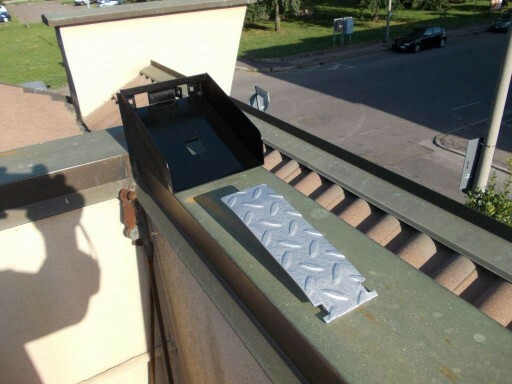 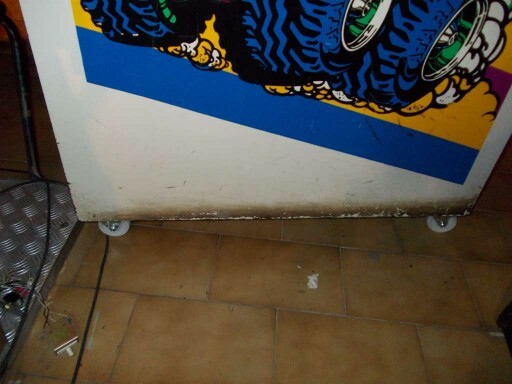 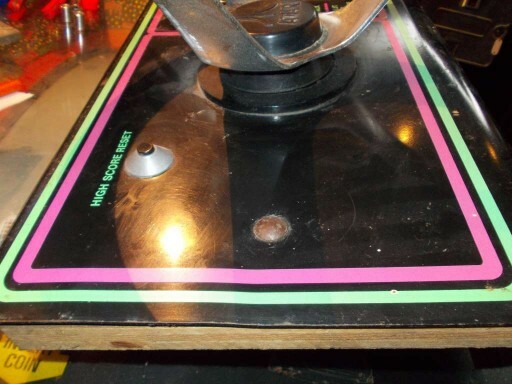 The plexiglass have been restructured removing scratches and burns. 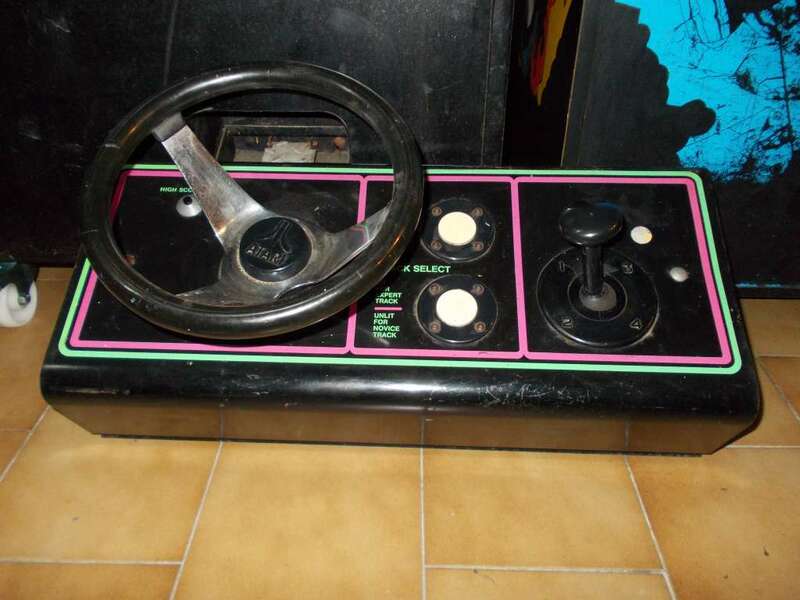 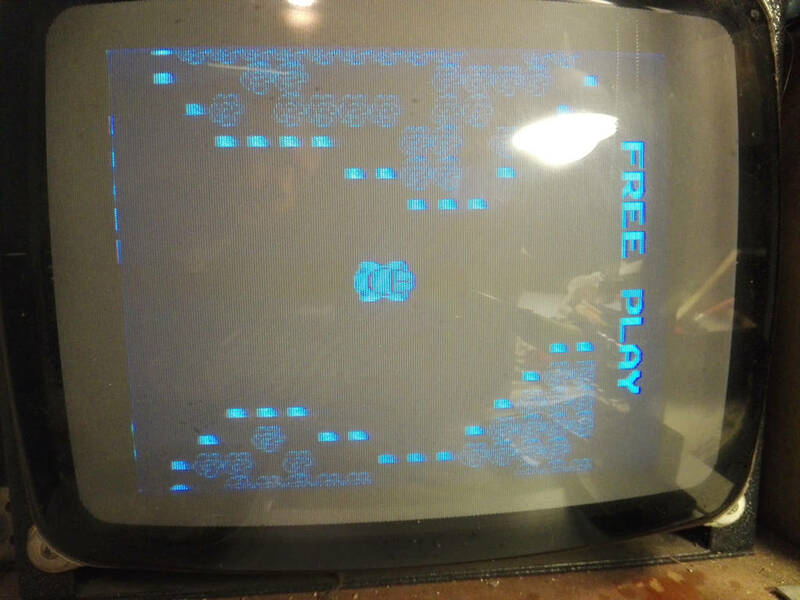 Kee Games was a company that produced Atari games with another name. 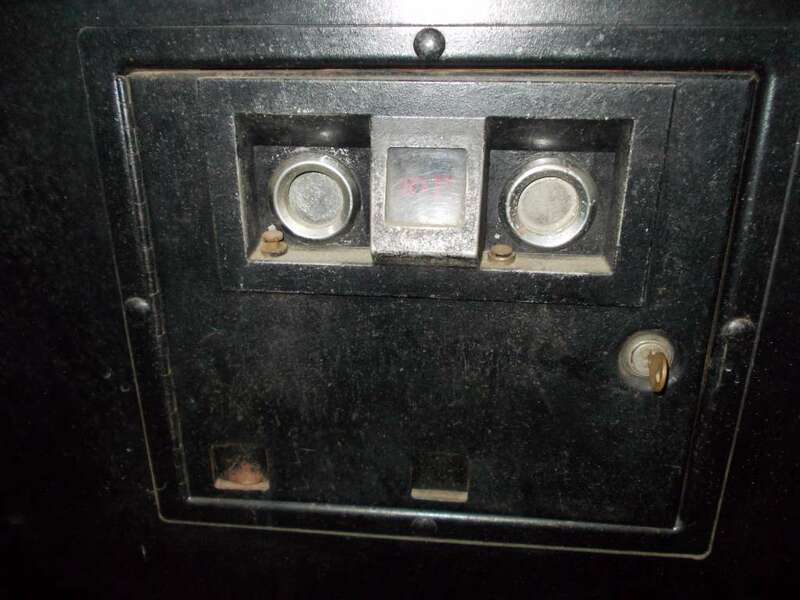 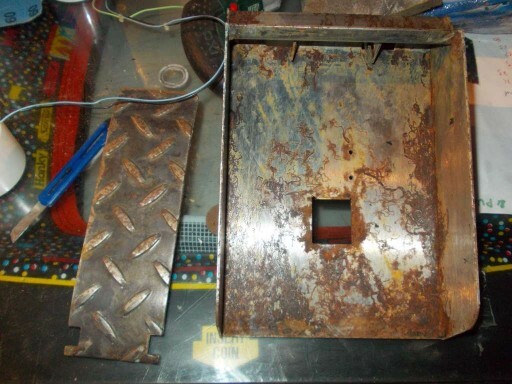 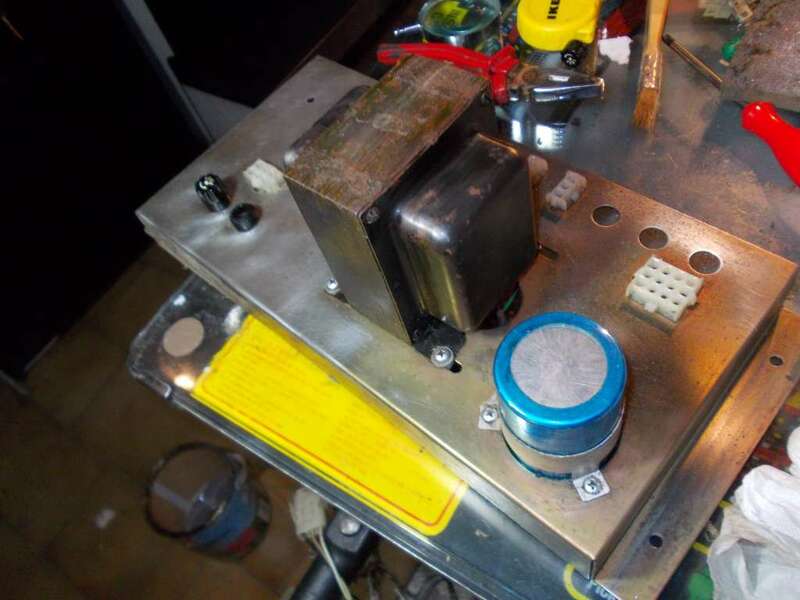 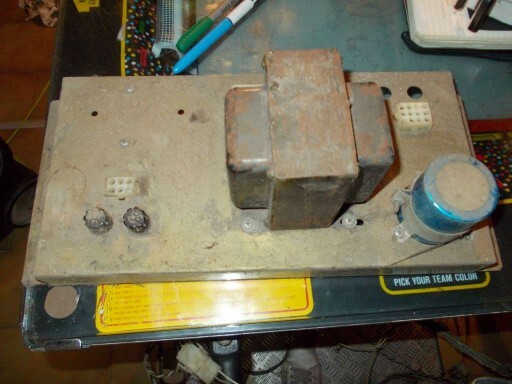 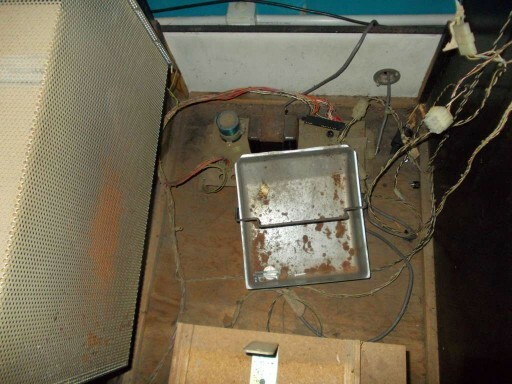 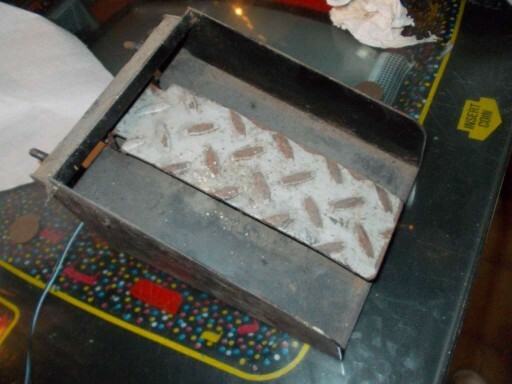 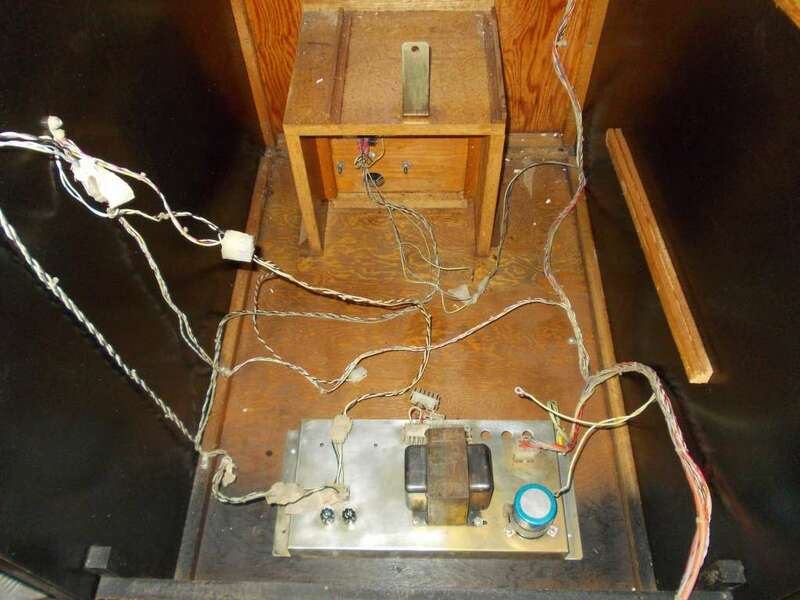 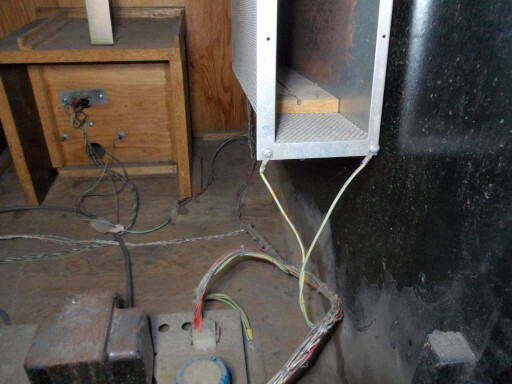 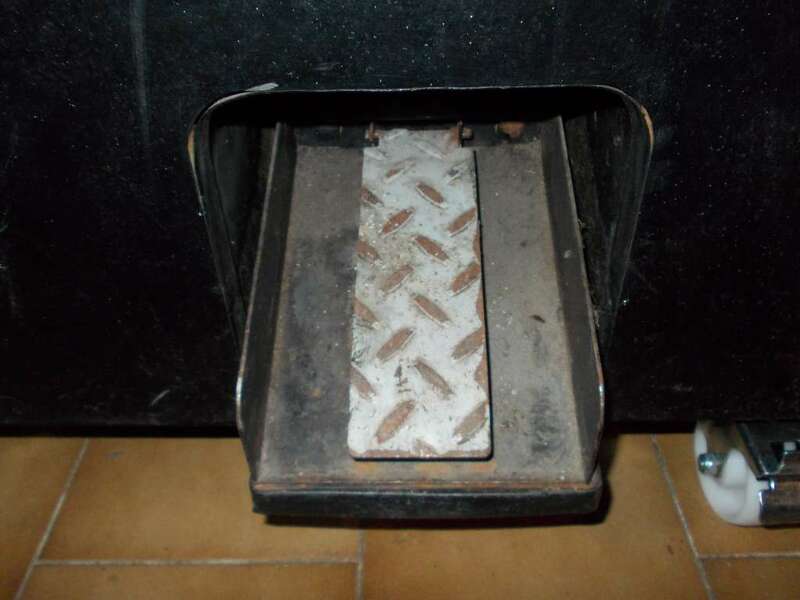 This is the pedal before, during and after the restoration. 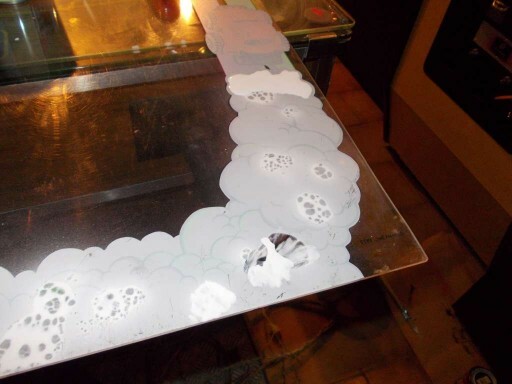 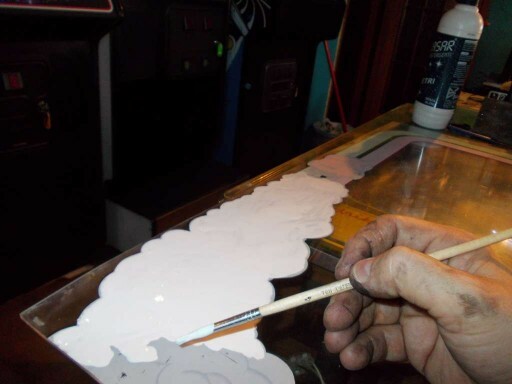 I covered with transparent plastic the panel, removing it in correspondence of the black areas. 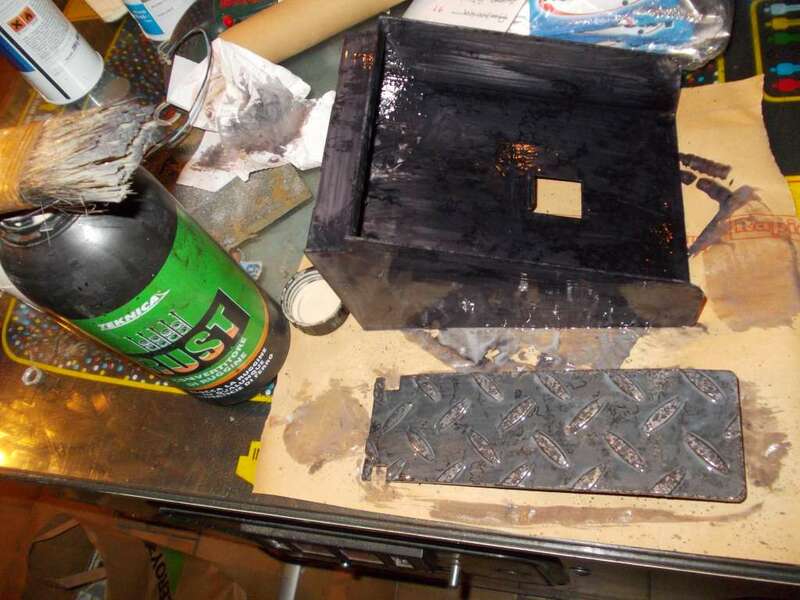 Then I used the sandpaper and then I painted with black spray. In the end I removed all the remaining plastic. 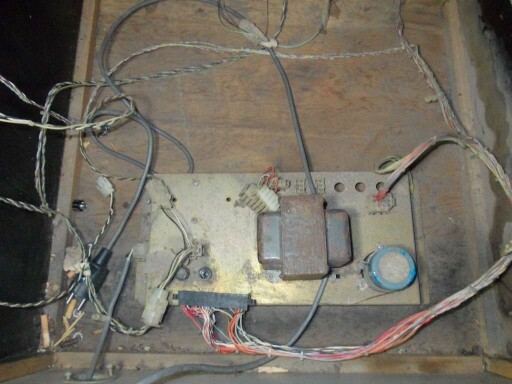 This is the cab as it is now. During the last party (VMASP_2016) this game became to have a problem to the car sprite. 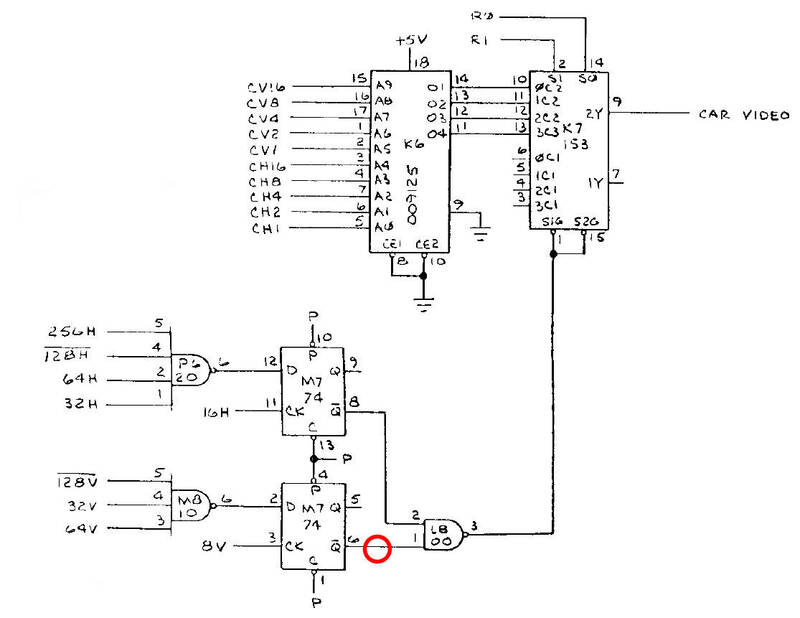 This part is shown on the schematics and you can see H and V are controlled by the same flip-flop. 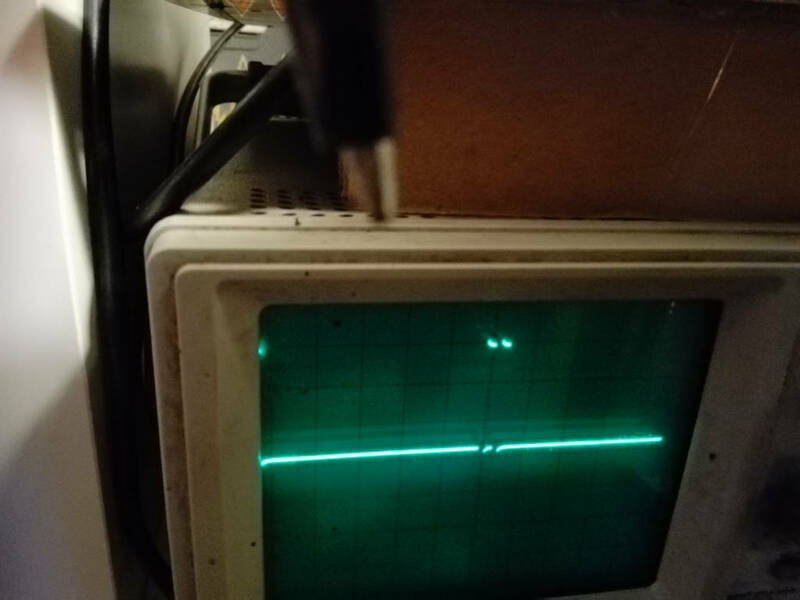 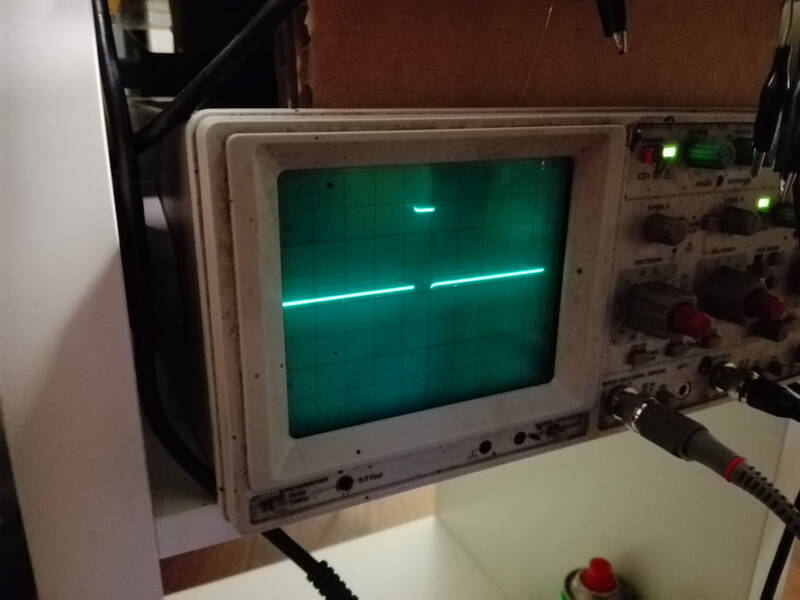 I was quite sure H and V signals were ok (in any case I made a check) and so I replaced the 7474 having, now, this waveform. and re socketing the PROM I could verify the problem had been solved.